Betcha didn't know these famous faces were friends IRL. Celebrit besties are literally some of the cutest friendships ever. You have George Clooney and Brad Pitt's bromance, Taylor Swift and Lorde's sisterly support, and the on-screen and off-screen friendship of The Sisterhood of the Traveling Pants cast. But we bet you wouldn't think that these celebrities even knew each other, much less be besties. Check 'em out! 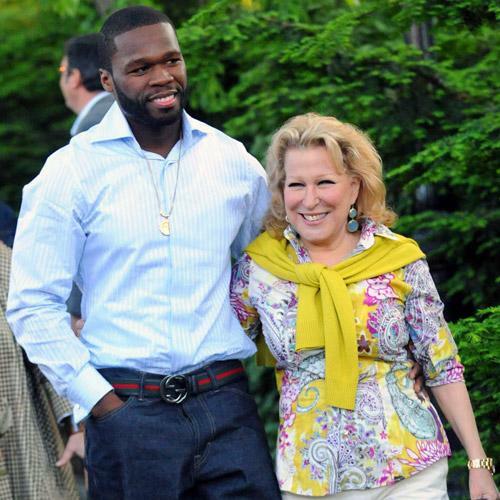 50 Cent and Bette Midler. They are out to save the planet together, one Restoration Project at a time! 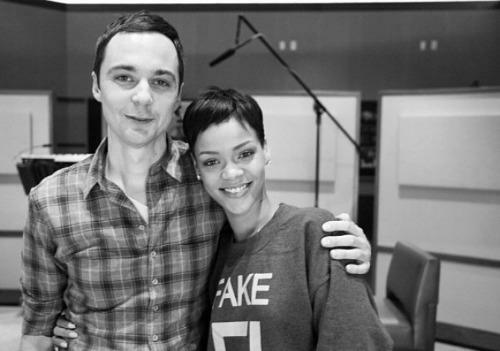 Jim Parsons and Rihanna. What??? The musician in me just met my inner geek and exploded! 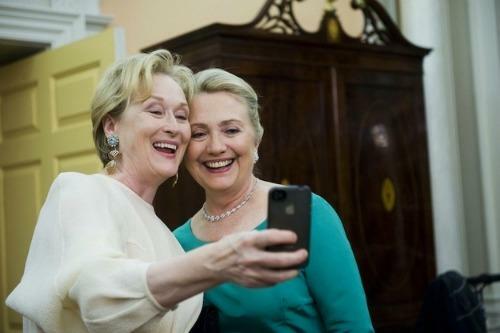 Meryl Streep and Hillary Clinton. Selfie time! 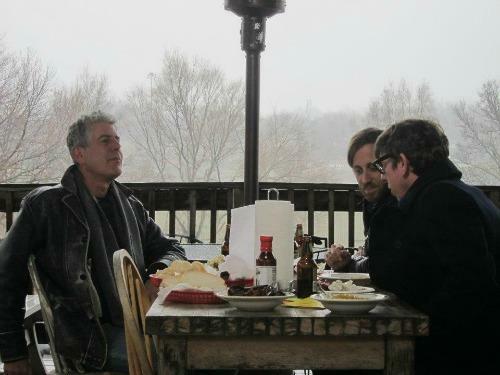 Anthony Bourdain and the Black Keys. Sure, why not? 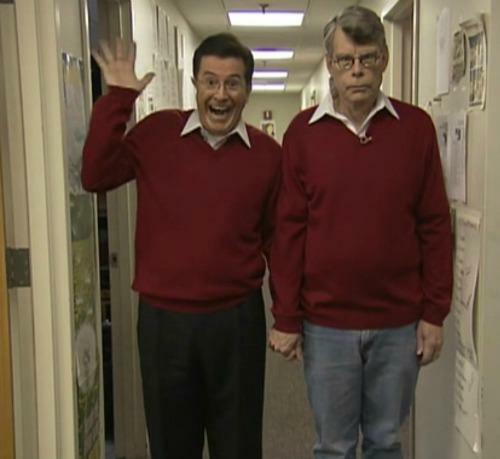 Stephen Colbert and Stephen King. Wait, are they holding hands? 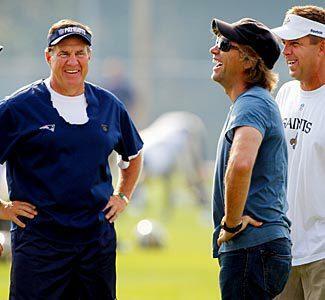 Jon Bon Jovi and Bill Belichick. Nothing goes together like sports and rock. Reese Witherspoon and Mindy Kaling. Okay, how cute is this? 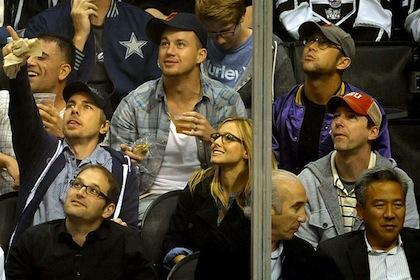 Channing Tatum and Joseph Gordon Levvit. Can't. Handle. The hotness! 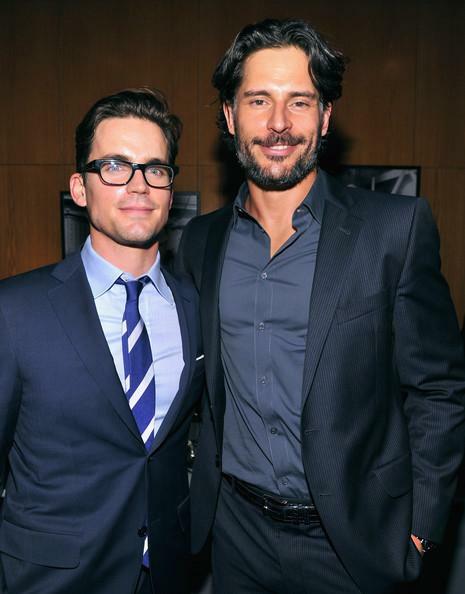 Matt Bomer and Joe Manganiello. Their friendship dates all the way back to their days as college roommates. 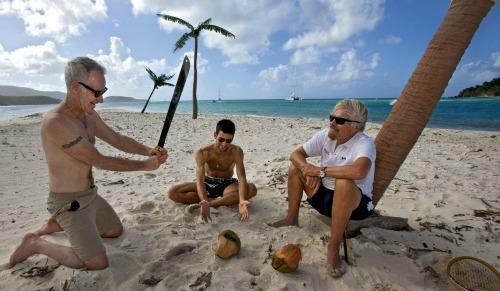 John McEnroe, Novak Djokovic and Richard Branson. Is anybody else concerned that the angriest man in tennis has a machete? Ricky Gervais and Jerry Seinfeld. That’s a lot of funny for one car. 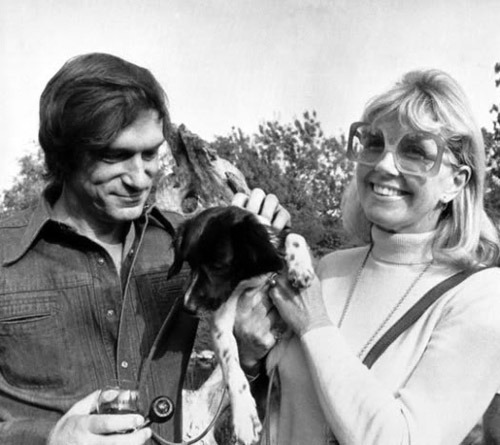 Hugh Hefner and Doris Day. Yeah, cause there’s a match that makes sense. Jon Hamm and Kristen Wiig. Cuddle time! Tyra Banks and Clay Aiken. Apparently, they bonded over his nice-smelling breath. Go figure! Bear Grylls and Jake Gyllenhaal. Be careful Jake! 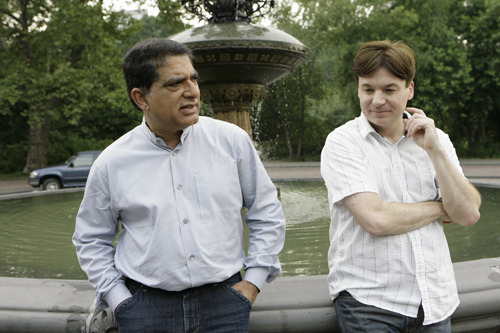 Deepak Chopra and Mike Myers. Thinking deep thoughts…about Shrek. 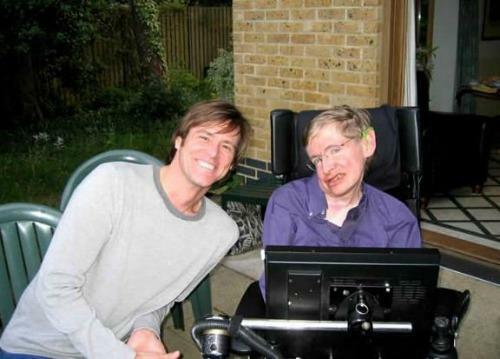 Jim Carrey and Stephen Hawking. Okay, I need to know how this came to be. 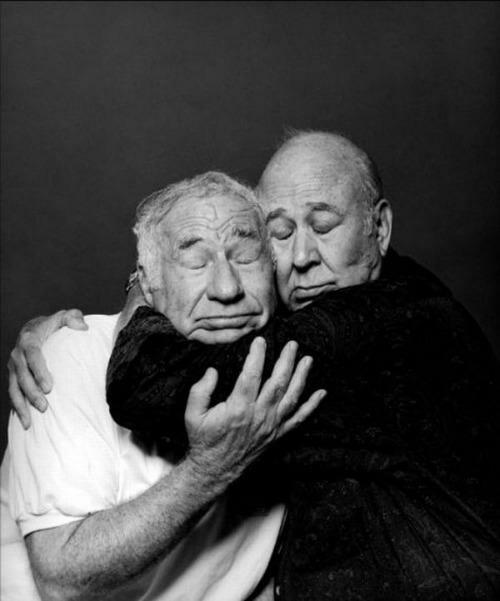 Mel Brooks and Carl Reiner. Okay, we knew they were buddies, but this is just precious. Happy Friendship Day everybody! Would You Let Friends Or Family Create Your Online Dating Profile?